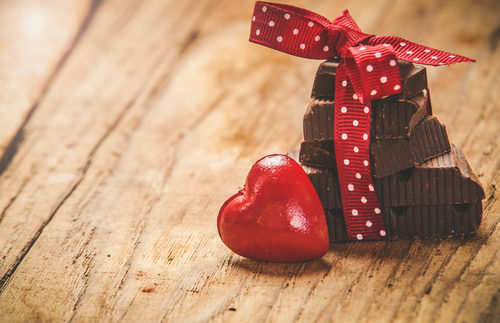 Sweeten up your Valentine’s Day with some easy to prepare treats perfect for gifting to coworkers, classmates and neighbors. Why not share the love?! • Sweet & Salty Hearts – Try this Valentine twist on the classic easy-bake chocolate covered pretzel. Spread mini pretzels onto a cookie sheet and place an unwrapped Hershey Kiss or Rollo candy in the center of each. Warm in the oven for about two minutes at 350 degrees, until chocolate is soft. Press a conversation heart or SweetTart heart into the chocolate to spread it over the rest of the pretzel and deep enough to hold the heart in place. You can also use Valentine colored M&M candies instead of heart candy. • Mix up a pan of Rice Krispie Treats and use a cookie cutter to slice into heart shapes. Dip one side of the heart into melted chocolate and allow to cool slightly before decorating with pink, white, and red sprinkles. • Bake shortbread cookies in heart shapes and use this simple icing recipe to decorate them pink and red. Use 8oz of confectioner’s sugar and slowly add drops of water until it makes a spreadable consistency. Add ½ tsp vanilla extract and a ¼ tsp of lemon or almond extract for extra flavor. Separate into small cups and add one or two drops of food coloring to make your desired icing color, and set some plain aside for white icing. Have fun with patterns and swirl the colors together to make each heart unique. • Everyone loves chocolate dipped strawberries! Pick up a large package of fresh berries and some baker’s chocolate – either dark or milk, or both! Melt the chocolate in the microwave, stirring every few minutes. Dip the strawberry into the chocolate and coat evenly. Add some crushed candies, nuts and sprinkles to make them even more yummy and festive. Place on wax paper to cool. Keep refrigerated until ready to eat. 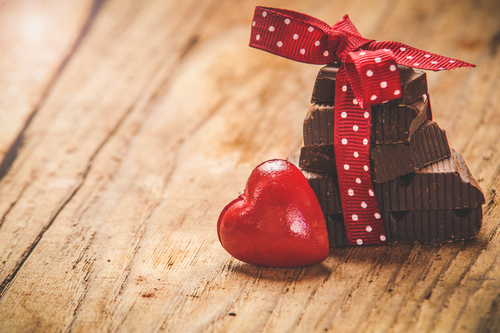 Have a “sweet” Valentine’s Day!